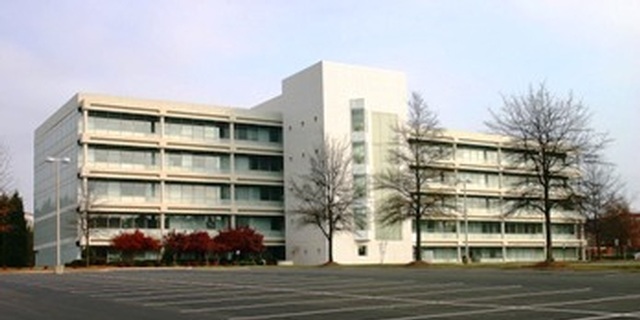 The office is located at 706 Green Valley Rd - Greensboro, NC 27408. The office building shares a parking lot with the Proximity Hotel. To get to the office, please turn into the Proximity Hotel Entrance and drive straight back until you arrive at the building pictured below. The office is on the 5th floor in Suite #506. From PTI (Greensboro Airport): Take Bryan Blvd toward Greensboro. Travel to the Green Valley Rd intersection. Make a Left on Green Valley Rd and then make your 1st right into the Proximity Hotel Entrance. Drive straight back until you arrive at the above building. The office is on the 5th floor. From Burlington: Take 70 to Wendover West. Take the Benjamin Parkway North exit, make a right on Green Valley Road and then make 1st right into the Proximity hotel entrance. Drive straight back until you arrive at the above building. The office is on the 5th floor. From Martinsville, VA: Take 220 South which turns into Battleground Ave. Drive to Green Valley Road intersection and make a Right on Green Valley Rd. Then make a left into the Proximity Hotel entrance and drive straight back until you get to the above pictured building. Take the elevator to the 5th floor and we are in Suite 506. From Winston-Salem, NC: Take 40 East towards Greensboro. Take exit 214 B for Wendover Ave East. From Wendover take the Benjamin Parkway North exit and then turn right onto Green Valley Rd. Make a right into the Proximity Hotel Entrance. Drive straight back until you arrive at the above building. The office is on the 5th floor.